What's In Store For Solar In 2019? These are tumultuous times for solar. After growing rapidly in the last decade, the industry slowed down this year. The economics of solar panel installations, which is heavily subsidized and thrives on cheap panels imported from China, caught up with the industry. There was a sharp drop in the number of residential and utility installations of solar after the Trump administration instituted tariffs on solar panels made in China. The administration also tried to revive the coal industry by questioning renewable energy’s ability to generate baseload power. But it was not bad news all the way. Next quarter should see the highest number of utility installations of solar, in terms of power, according to consulting firm Wood Mackenzie. The product mix at utility installations also underwent a change as tracking systems, which follow the sun’s path through the day, became more popular as compared to fixed tilt systems. That is expected to continue in 2019. “Although tracking systems are more expensive than fixed tilt systems, revenue from additional electricity generated by the systems…...often exceeds the increased cost,” the EIA wrote on its site. In a show of defiance against the federal administration, some states revised their renewable portfolio standards and set ambitious targets to increase the share of renewable energy in their portfolio. So what does 2019 have in store for solar? According to the Energy Information Administration’s forecast, the share of solar and other renewables in electricity generation is expected to inch upwards to 11%, an increase of 1% from this year, in 2019. The agency also expects the average US solar generation to rise from 212,000 MWh/d in 2017 to 268,000 MWh/d in 2018 and to 303,000 MWh/d (a 13% increase from 2018) in 2019. 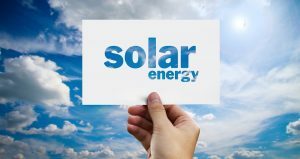 Solar plus storage came into its own this year and that trend is expected to continue in the future. The US energy storage monitor by Wood Mackenzie estimates that total energy storage deployed this year grew by 60% in terms of energy and 300% on power basis. In all, $474 million worth of energy storage will be installed in 2018. By 2023, that number is expected to balloon to $4.5 billion. Of course, supportive legislation is key to achieving this goal. California, Hawaii, and New York have already established ambitious targets for utilities operating within the state to deploy solar storage. After rolling back subsidies for solar and reinstating them, Nevada has also increased the share of renewable energy for the overall electricity sector. As of November 2018, twenty nine states and Washington D.C. have renewable portfolio standards (RPS). With renewable energy increasingly reaching parity with other fossil fuels, it is likely that other states may follow suit in instituting or increasing the share of renewable energy in the overall mix. Some much needed optimism for the solar and greater clean energy markets heading into the New Year!